We made a brief stop in Australia primarily to catch up with a good friend (Jo Philipp - JP) who Josh had studied with while in Spain. We began our journey in Brisbane, or Brissy as the locals call it, where we stayed with JP for a few nights before heading to Cairns to visit the Great Barrier Reef. Thanks again, Jo Philipp (& Sheri) for your hospitality! The first order of business was to learn a bit of "Aussie", here is the video that JP shared with us to help us learn "Aussie". Important to learn some "Aussie" slang before your visit to Australia. Brisbane is a great Aussie city with amazing botanical gardens, parks and a great riverfront. 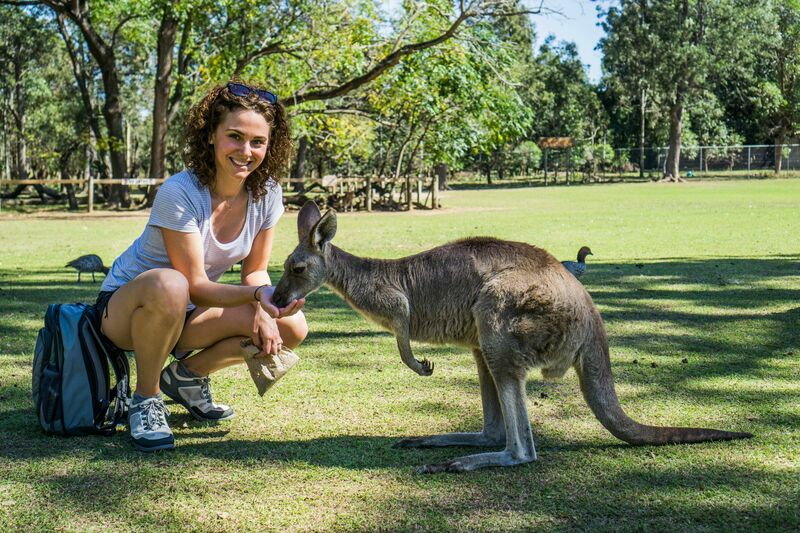 Additionally, the Lone Pine Koala Sanctuary is located there. We were somehow were given year-long memberships there ( I think by accident ) but we’re proud members! It was an incredible place with tons of Australian animals: we fed kangaroos and saw koalas, dingoes, wombats, flying foxes and a platypus. 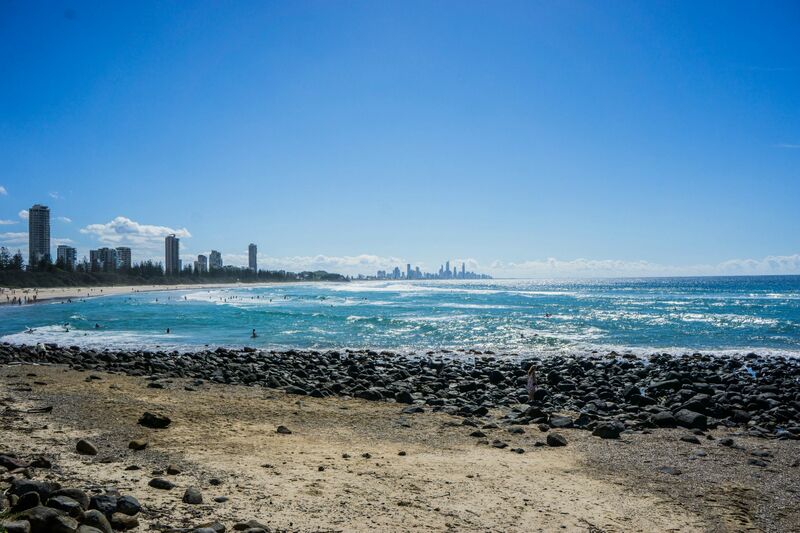 Brisbane is so close to the Gold Coast (a surfer’s paradise) which makes for an easy weekend trip. We learned to surf in Main Beach and went up and down the coast- so beautiful- it reminds me a bit of Florida’s beaches mixed in with California’s rugged coast and surfers. With waves typically around 1-2 meters high, the Gold Coast is the real deal in the surf world. We flew from Brisbane to Cairns for a few days to explore the Great Barrier Reef. Cairns overall was a small, quiet town but we hardly noticed as we got up early for our snorkel tour of the reef the next morning. It takes about an hour and a half to boat out to the reef from the mainland. The boat dropped us off at 3 different spots to snorkel including one cay. It was beautiful with tons of exotic coral, tropical fish, manta rays, sea turtles and more! Some of the bleaching of the reef was noticeable which is a terrible shame. In some parts of the northern and central reef, up to1/3 of the coral is affected or dying due to elevated temperatures in the Pacific Ocean as a result of global warming. The reef is incredibly beautiful and such a fragile ecosystem, it was amazing to see but also sad to note the changes happening. 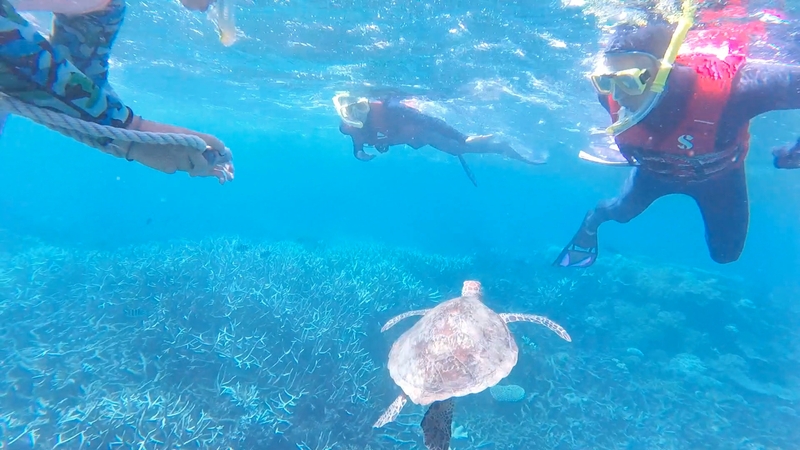 Snorkeling on the reef was an amazing and surreal experience thanks to friends like this sea turtle. Needless to say, we had a blast in Australia and were very active along the coast. It's a long ways from home, but definitely warrants consideration for a visit on your next trip if nothing else, to see the Great Barrier Reef before it suffers any more environmental damage.